"Shark Tank"/ABC Paper Box Planes CEO Noah Cahoon and his father Brian. When there's a successful company that claims to be led by a kid, it often seems disingenuous. An 8-year-old may have come up with an idea for a business, but it's most likely mom or dad doing most of the work. 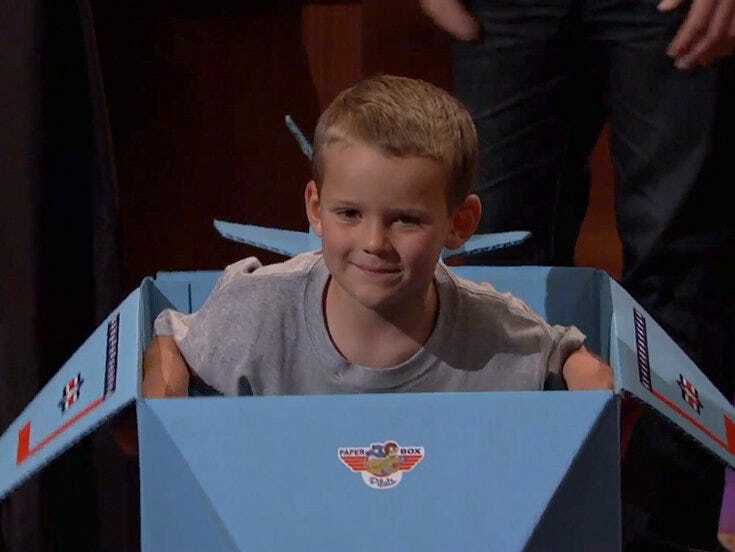 But 14-year-old Noah Cahoon, CEO of the toy company Paper Box Pilots, is not merely a PR prop for his dad Brian's business. They're a father-son duo from Salt Lake City learning how to operate a small business together, with Brian letting Noah have the final say in the direction of the company. 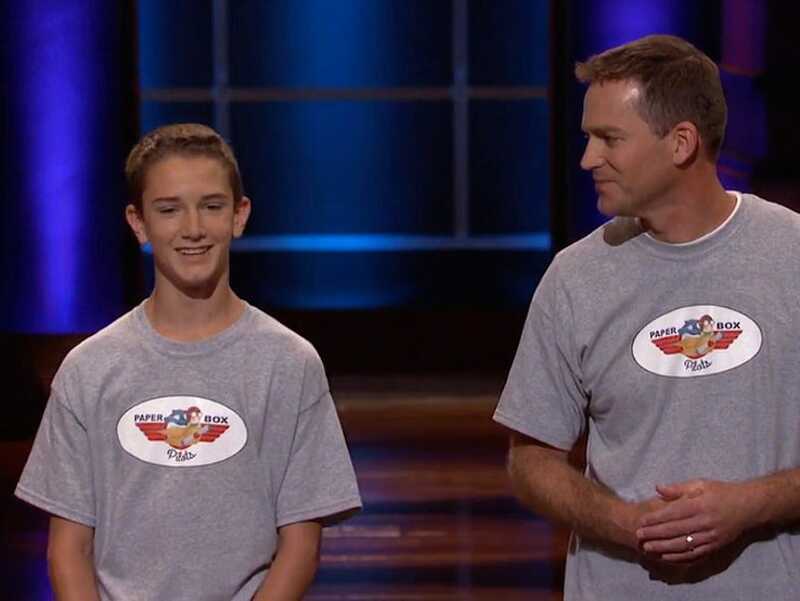 The Cahoons appear on the latest sixth-season episode of ABC's hit pitch show "Shark Tank," when Noah, who was age 13 at the time of filming, makes a deal with investor Kevin O'Leary, a.k.a. "Mr. Wonderful," without the advice of his dad. Brian is a senior sales consultant at Oracle who had previously set aside his dream of starting a business when he started a family. "When Noah was born, I was getting my MBA. I've always wanted to be an entrepreneur, but when I brought home that little guy — it's a feeling of responsibility that you have to be careful. And I never got the chance to take that risk," he tells the investors. "Shark Tank"/ABC Milo Cahoon serves as the company's "Chief Fun Officer." Brian and Noah used to make designs for airplanes they made out of empty cardboard boxes when Noah was little. Last year Noah, an Eagle Scout, decided that they could not only start printing out designs for his 6-year-old brother Milo, but they could start selling those designs to retailers. Brian had an opportunity to become the entrepreneur he always wanted to be while giving his ambitious son a business education before he even entered high school. He tells the Sharks that he wants to teach Noah that there's not a single path in life and that he doesn't need to pursue a career where his main goal is to rise up a corporate ladder. Brian tells the investors he treats Noah as a real CEO. In the first eight months of Paper Box Pilots they've made just $7,500 in sales from their online shop and small independent retailers, but the Cahoons say that Noah has been involved in every sale and every design and production decision. "What a great education," investor Lori Greiner says. The Cahoons come to the Sharks looking for $35,000 in return for 25% equity and a partnership with a Shark who can mentor them to accelerated growth. Investors Mark Cuban and Greiner both express admiration for the father-son team, but Cuban thinks the toy industry is not his forte and Greiner thinks the business isn't scalable. O'Leary, however, does know the toy industry. He struck gold when he sold children's software maker The Learning Company to Mattel in 1999 for nearly $4 billion. 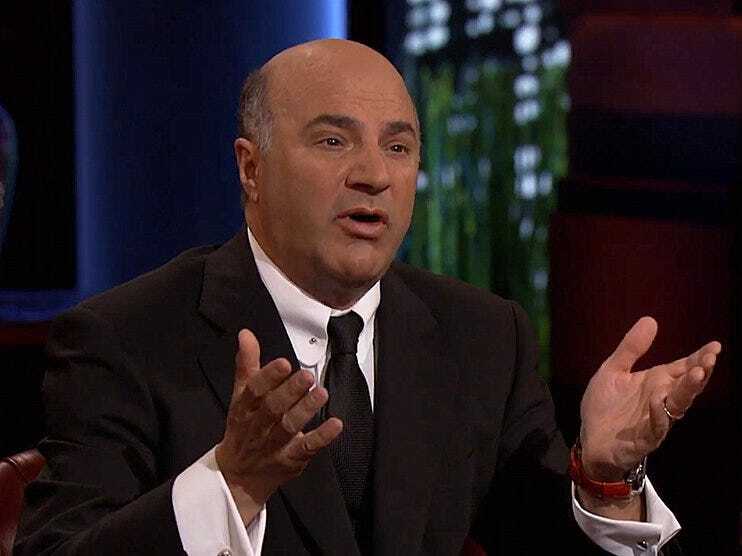 "Shark Tank"/ABC Kevin O'Leary offers capital and his toy industry expertise to the Cahoons — in exchange for half the company. He thinks that he can use his industry connections to make Paper Box Pilots ride an anti-technology trend in toys and take off. He offers $35,000 for a full half of the company, as long as the Cahoons start offering pre-made toy boxes in addition to the decal kits they built the business on. Investor Robert Herjavec makes the same offer as O'Leary, with the suggestion that he has a perfect way to package the toys to make a ton of money. Investor Barbara Corcoran then says that as long as the Cahoons start making more girl-friendly toys, she's offering $35,000 for a 35% stake because "it sounds cool!" Herjavec ups his deal to $50,000 for 50% equity with the extra selling point that he's "the fun Shark!" The Sharks look to the Cahoons to make a decision. Brian asks for a little more direction from the investors, but Corcoran stops him, warning that it's dangerous to push when you've been given a rock-solid offer — or in this case three of them. "All I can say," Brian tells Noah, " is you're the CEO, and it's ultimately your decision." Noah gets nervous and asks his dad under his breath which investor he should pick, but all Brian offers is: "Who do you think would be the best mentor?" Noah decides to hand over 50% of his company to O'Leary so that he can take his entrepreneurial education to the next level with O'Leary as his guide and his father by his side. A quick look at the website shows that they're taking Corcoran's advice and have started marketing more to girls, though they still have yet to release pre-made toys. O'Leary will likely take care of that. You can watch the full episode on ABC.com.